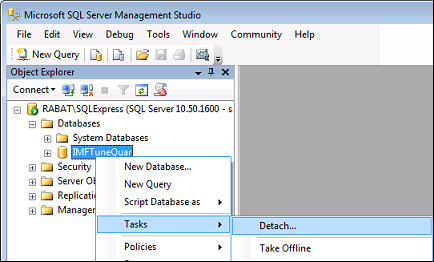 The IMF Tune v5.6 Moderator/Reporting relies on an MS SQL database backend. Here records on quarantined emails and reporting are stored. With time you may need to move the database to new hardware. 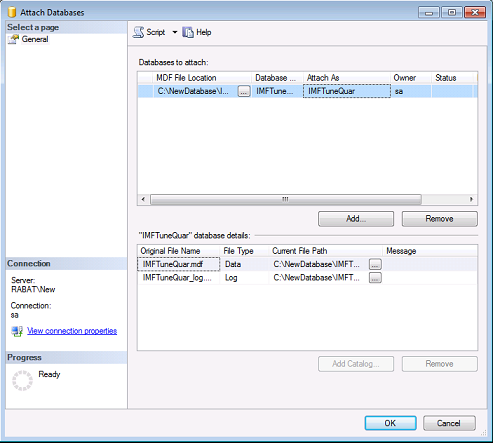 IMF Tune supports various MS SQL versions including the free SQL Express editions. For a complete list of supported versions check the IMF Tune Moderator/Reporting Manual. The MS SQL machine must be on the same Windows Domain as the ASP.NET Moderator Web interface. MS SQL must be installed in Mixed Authentication Mode supporting both Windows Integrated Authentication and SQL Authentication. More on this in Enabling SQL Authentication. If the SQL server is running behind a firewall make sure to open the necessary ports as explained in Running SQL behind a Firewall - IMF Tune Quarantine & Reporting. Optionally you may want to logon to the current IMF Tune Quarantine and complete the moderation of any pending quarantines. This is optional since quarantines may be moderated after completing the move. 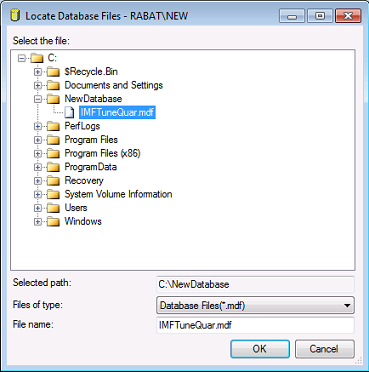 Optionally shrink the database to free up unused database space. The shrink operation reduces the data file size. 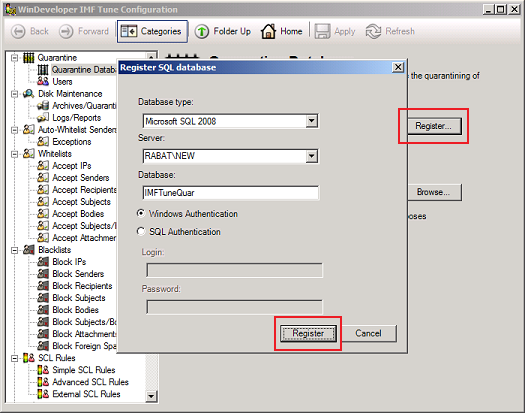 Note: IMF Tune supports a wide range of MS SQL versions, so the exact steps may vary slightly depending on your version. At the MS Exchange server where the IMF Tune Anti-Spam Server is installed, stop the IMF Tune Attendant service. This service is responsible for uploading new quarantines to the database. As long as the service is stopped, emails will still be processed but no new quarantines will be uploaded. Note: It is important not to keep the Attendant service stopped for too long, since it also performs other important tasks. Note: If running more than one IMF Tune Server, each quarantining emails to the same SQL database, stop the Attendant on these servers too. 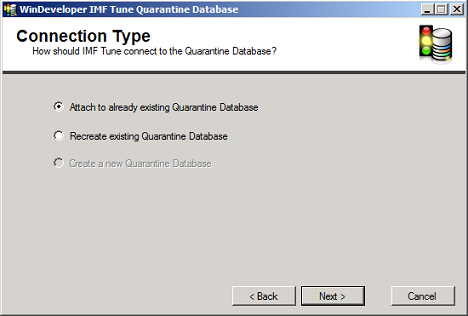 Detach the current IMF Tune Quarantine database. Detach may warn about currently active connections. Drop active connections to go ahead. 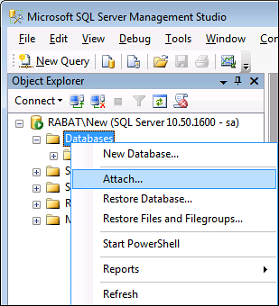 Move the database files from the old to the new MS SQL server machine. You will normally find these under the SQL Server application directory in a sub-directory named Data. 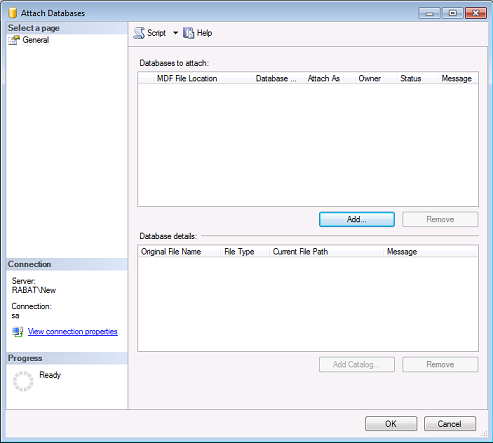 Attach the database to the new SQL database server. 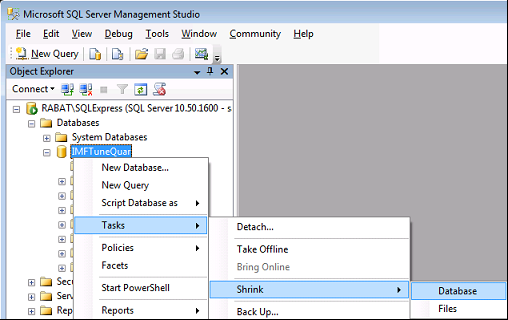 Open the SQL Server Management Studio on the new SQL database server. This will open the Database Attachment options dialog. Selecting the IMF Tune Database MDF file updates the dialog as shown next. Move to the IMF Tune server machine and open the IMF Tune configuration. This will return a warning saying that the quarantine database could not be connected. Ignore this. In the dialog that opens click on Unregister again to kick-off the process. The configuration may pop a Warning dialog saying that any configuration changes will be committed. Click Yes. The un-registration process will at the end report another Warning saying that it was unable to connect to the Quarantine Database. This is normal since the old Quarantine is no longer available. Just click OK to close this dialog. 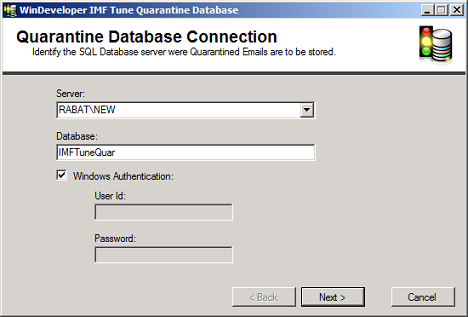 Register the IMF Tune server with the new Quarantine Database. The configuration may now raise a warning saying that an IMF Tune server having the same name is already registered. Click Yes to overwrite the information. This completes the registration process. Occasionally this Registration step may fail on the first attempt. In that case repeat step g) once more. 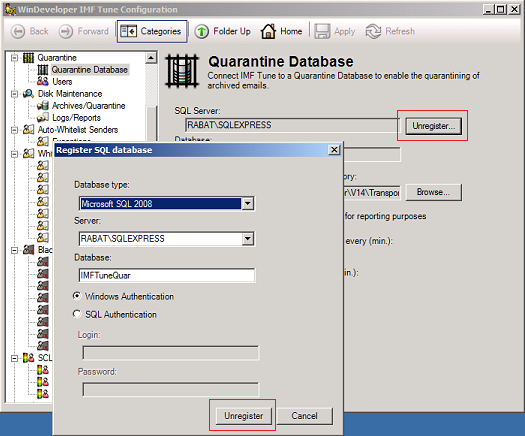 If running more than one IMF Tune Server, each quarantining emails to the same SQL database, follow steps e) to g) on the other servers too. Move to the machine where the ASP.NET Moderator interface is installed. This may be a different machine from the one running the IMF Tune server. Note: If this option is greyed out make sure you are connecting to the New Database server. Complete the Wizard to the end.